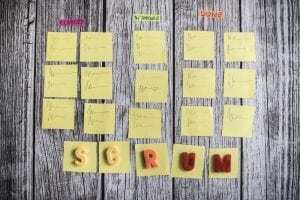 Scrum to build my business? Adding value to the work I do for my clients and building my business to provide a great service and improving my life has been a big driver for me since I started my business over 8 years ago. 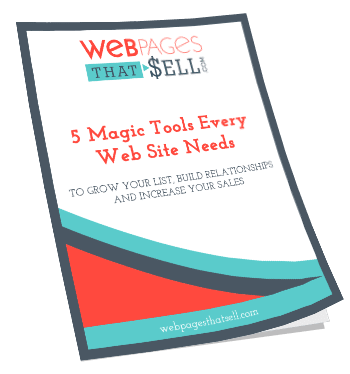 I have learned so much since I started and my business has taken many turns. One thing that has been crucial to growing, expanding and creating more money and more time has been taking (and participating) in business courses as well as attending events that allows me the opportunity to connect with other business owners, expand on ideas that have been percolating in my mind for a while and create an action plan to execute on those ideas. This last weekend I went to San Diego for a Mastermind Session with Amy Porterfield as part of a bonus for enrolling in B-School. Awesome does not even describe how great it was. Amy took us through some great project management skills and an idea that I have had for a while started to come to life. My goal is to create a WordPress learning vault that will show video and have downloadable guides to the various ways to work with WordPress after your site it up. I have always thought that this would be a great value add to my clients and my clients have been asking for it. But oh my, what an undertaking this would be. However after this weekend I know it can be done and am excited. I actually have known about it as two of my clients (www.collaborativeleadershipteam.com and www.RocketNineSolutions.com) are Scrum trainers, but I never really saw how it could support me as a small business owner. Now I am seeing the light! So here is a really basic overview of the Scrum process that I will be using to create this membership site. The Product Owner – This role is the visionary leader of the project. They are the ones that make the list based on their vision and input from others and enters them into what is known as the Product Backlog. The ScrumMaster – This role is for the person who is communicating with the team and ensuring the tasks are done. Identifying who does what, when it happens, what isn’t getting done, what the obstacles are, etc. The Team – Those that are making it happen. They develop the product. One basic component of Scrum is The Product Backlog. This is the list of everything and anything associated with the project. For now I won’t dive into these – I will save it for another post. The big takeaway that I got from this is that I have often acted as Product Owner, Scrum Master And Team. So my challenge with this project is going to be to act as the Product Owner and be very conscientious about going into other roles. I will keep posting to let you know how it is going . Want to start with a book? The ScrumAlliance.org site is great resource!